Just five games separate Liverpool from potentially being crowned Premier League Champions in what would be their first league title since 1990. While their hopes of doing so remain firmly in the hands of Manchester City, with a clean sweep of wins enough to see Pep Guardiola’s side usurp The Reds to a second consecutive league title, it’s been an unprecedented season. 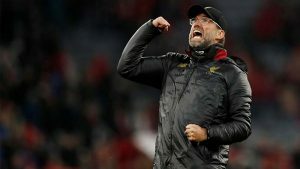 A squad considered to be progressing under Jurgen Klopp but still one far from challenging a record-breaking City side, many will have been surprised by just how far Liverpool have taken the holders. Transforming from a frenetic attacking squadron to one of pragmatism and patience, Jurgen Klopp has brought a new side to Liverpool this year. 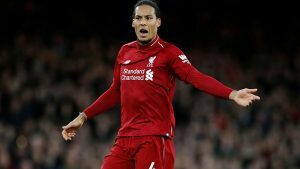 Primed on the seemingly impenetrable foundations of Virgil van Dijk and Alisson Becker, the club boast the best defensive record in the league. Once riddled with individual errors and ineptitude in their own third, the back-four is now underpinning a stellar campaign, enabling the athleticism of Andy Robertson and Trent Alexander-Arnold to come to the fore. The duo has embodied the modern demands of a full-back, with their attacking exuberance providing a significant source of creativity to make up for an apparent lack of nous in the central areas. They now have fifteen assists between them in the league this season, with Robertson’s tally of nine the third best tally of any defender in a single campaign – Andy Hinchliffe (1994-5) and Leighton Baines (2010-11) are the only defenders to have registered more (11). Ahead of them, a man possessed in Sadio Mane, an intricate Brazilian creator in Roberto Firmino and Mohamed Salah, the Premier League’s second-top goal scorer considered to be having a ‘bad season’. So often Liverpool have had nothing to play for at this stage of the season. Games tail off, the atmosphere suffers and there is a collective groan over a campaign that’s amounted to nothing. This has been one of the closest title races in years and Liverpool are right in the thick of it. Add to that the fact they’ve got a genuine shout at the Champions League and Klopp’s side find themselves in a brilliant position. This is what fans have clamoured over; The Reds back amongst the elite and vying for silverware. They may land both, they may land one, they may land neither, but this challenge, this journey, is what it’s all about. The nerves, the ambiguity, the enthralling uncertainty. It’s all there, every game day, threatening to rip us apart. These moments. These are the moments we live for. Back in 2003/04, Arsenal’s ‘Invincibles’ won the league with 90 points. Liverpool are on course to surpass that. Comfortably. The Reds were in a similarly strong position five years ago, with the title firmly in their own hands before Crystal Palace and Jose Mourinho landed crippling blows. The unprecedented nature of the current Manchester City team, perhaps the best team the Premier League has played witness to, means the fear of another missed opportunity now looms once more. However, the scale of Liverpool’s achievements should be overshadowed if they fail to go the distance. What Klopp has achieved this season deserves immeasurable praise; the club are on an undeniably upward trajectory. Everyone seems consumed by the fact Liverpool surpassing their tally from 1990 with five games to go may not be enough to win the league, but what about City. Imagine watching that. Imagine watching Spurs. The powers of recovery Klopp has instilled are purring for all to see. There is an unprecedented will to win in the face of adversity. When all odds are stacked against them, this Liverpool team finds a way. The manager believes, the players believe. This is not the time for self-doubt, nor fear of what’s to come. The pressure might feel suffocating at times, but it should be basked in, relished. Now is about enjoying, hoping, willing these players on. They’ve given us a tremendous season, don’t let fear overthrow it now.